New Heights School & Learning Services runs a unique specialized program tailored to preschool and school age children with autism spectrum disorder, or have similar learning differences. New Heights Home & Community Support (HCS) is a play-based program that utilizes the strengths and interests of each child to address developmental goals. The focus of HCS program is on services to children age 2.5 – 7 years. We offer several programs funded through Family Support for Children with Disabilities (FSCD). Families with an approved Specialized Services contract receive consultation and coaching at home and in the community from a multi-disciplinary team including a developmental assistant, psychologist, occupational therapist, and speech language pathologist. For families with a preschool child attending New Heights, their home and classroom teams work together under a Common Approach to ensure consistency across all environments. Families with approved contracts for Developmental or Behavioural Supports receive consultation and coaching at home and in the community from a developmental assistant and professionals in one to two disciplines including occupational therapy, speech and language, or psychology. The HCS program strives to ensure that comprehensive supports and programs are accessible to children and their families year-round. Within the HCS program, we offer workshops for parent support and education, plan community play dates to connect families and foster socialization between children, and also run a summer camp called New Heights Backyard to build friendships between students (age 7-12 who attend New Heights School) outside of the classroom. 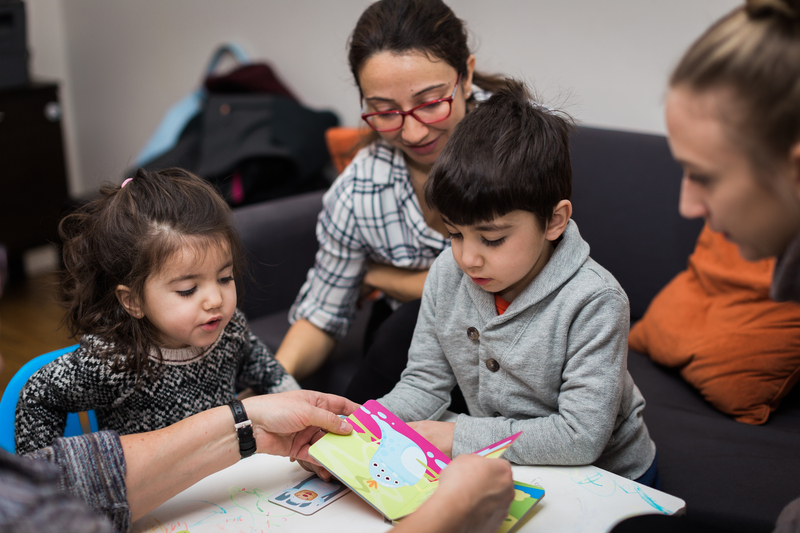 Throughout everything we do, we are dedicated to lending the maximum support to children and families as they learn and grow towards their highest potential.